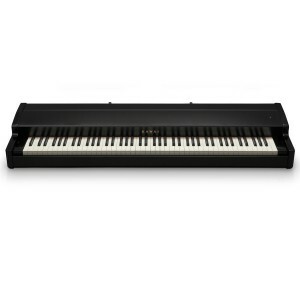 The Ultimate Controller Ultra-realistic grand piano touch to complete your virtual piano experien.. 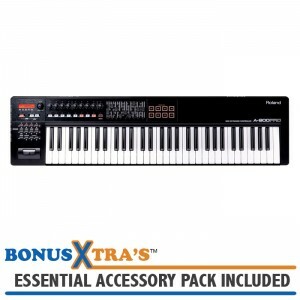 Compact 32-Key Model from the A-PRO Series If you’re looking for keyboard controllers that you ca..
Portable Control with Pro Action There’s no shortage of portable MIDI keyboard controllers on the..
Versatile 49-Key Model from the A-PRO Series If you’re looking for keyboard controllers that you .. 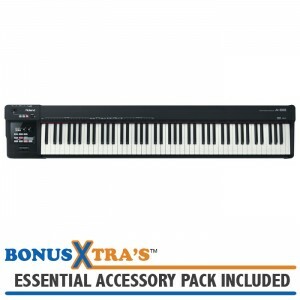 Expressive 61-Key Model from the A-PRO Series If you’re looking for keyboard controllers that you.. 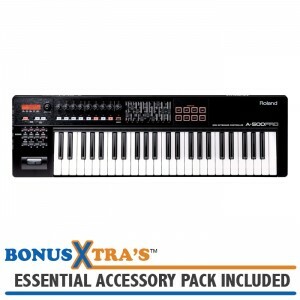 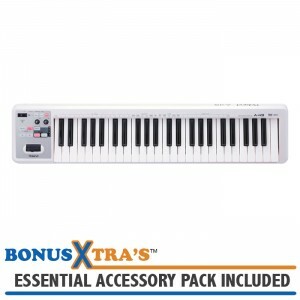 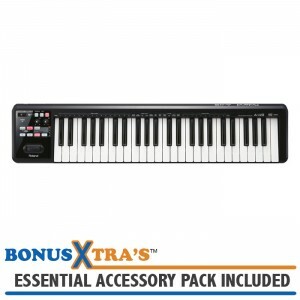 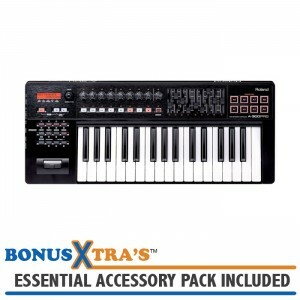 The Portable Controller That Plays Like a Grand With 88 pro-quality weighted keys, the A-88 sets ..